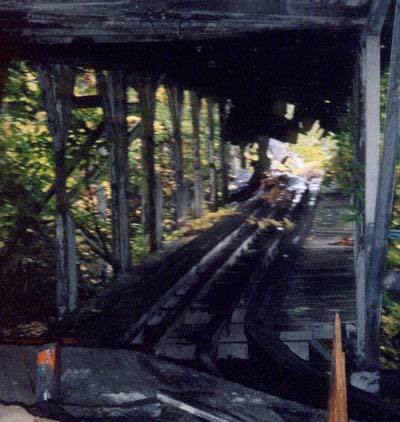 All of the track squeezes through the middle of the ride and here you can see the covered brake run and the middle hill. Early coasters brakes were called skid brakes and they basically were a board that ran between the rails that would raise up and rub against the coaster train slowing it by friction. Brake runs were covered up because if it rained and the brakes got wet they were pretty ineffective and the trains would not stop. Here's a look down the brake run. You can see the brakes between the rails. The two long running boards between the rails are the skid brakes. 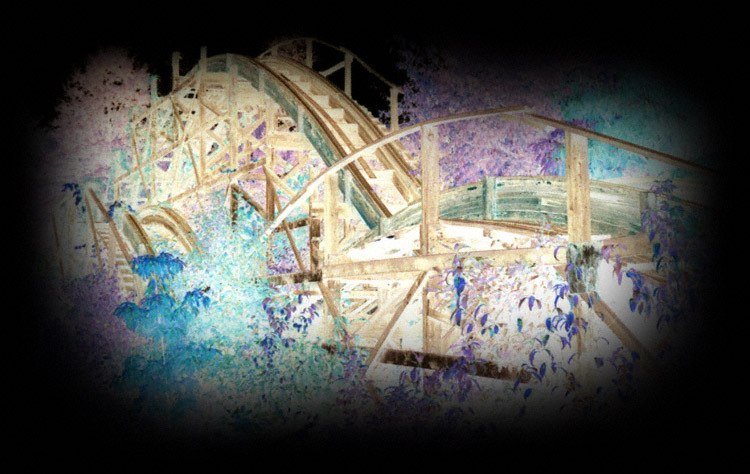 As you can see part of the roof has collapsed in and the majority of wood on this ride is totally rotten. 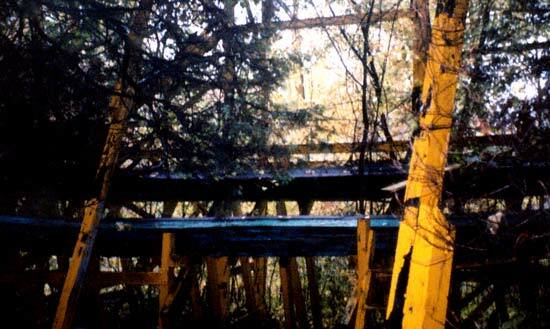 When I walked under the ride there were several supports that were rotten all the way through. 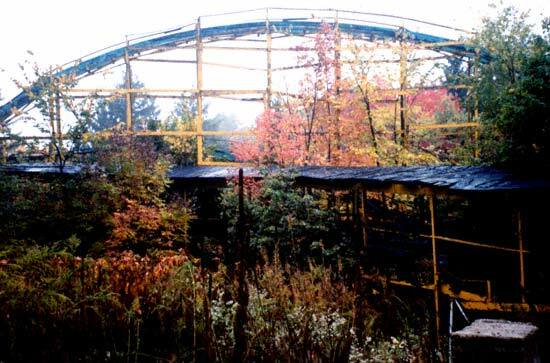 I don't think you could restore this ride at it's current location but hopefully someone has the plans and rebuilds it because I'd love to ride it. Curiosity killed the cat. Well it hasn't done me in yet, but I had to go explore the Wildcat some more so I headed under the structure. 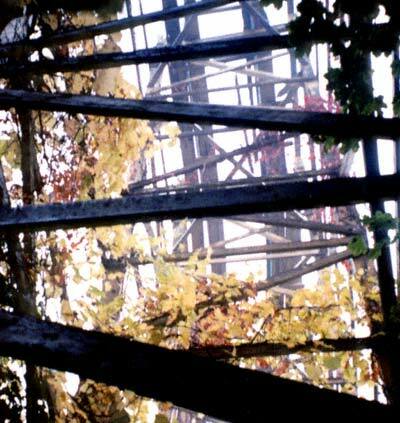 Here's a photo looking up through the structure under the first drop. It was really spooky in the park. I mean you can see Idora as a thriving park but all it is now is dead. Under the lift it was pretty weird. First off there's a burned out house down there. It gave me this creepy feeling that some psycho with a chain saw was going to come out after me. I guess I saw too many slasher movies as a kid. Back to the coaster this is a photo of the Wildcat's turn under the lift. It's really buried down in the structure and would have been neat to fly through at speed.